The rider must have completed a motorcycle safety course OR the rider must carry adequate health insurance minimums of $10,000. For now, police don’t have the authority to pull over riders just because they weren’t wearing a helmet, meaning that many people ride without a helmet in violation of state laws without fear of getting caught. However, a bill recently proposed by Texas Representative Victoria Neave is seeking to close this loophole. If passed, Texas HB 748 will go into effect on September 1, 2019, empowering police to stop helmetless riders to check if they meet all of the qualifications for not wearing a helmet. While HB 748 has political support from both sides of the aisle, not everyone is on board. Many motorcyclists, in particular, are concerned that the bill will increase profiling by police. “The hugely negative side to us about HB 748 is the profiling side of it,” veteran motorcyclist and San Angelo resident Gyp C Serna told local reporters. Just because the state’s helmet law allows exemption doesn’t make it safe to ride without one. 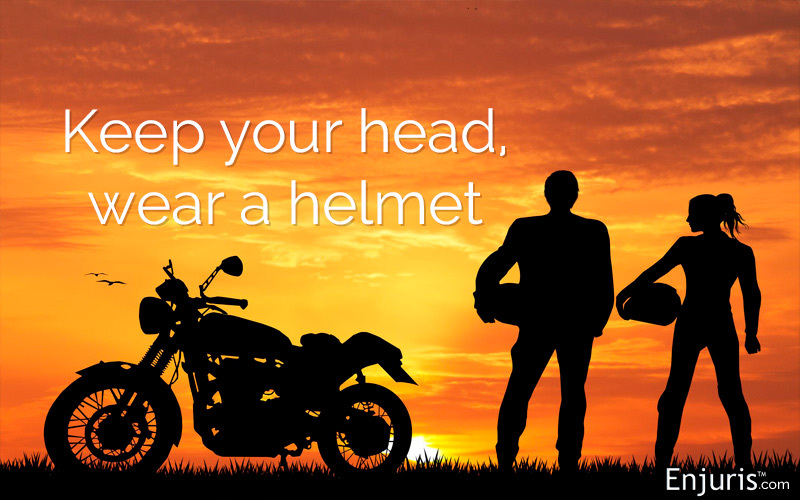 According to the Insurance Institute for Highway Safety (IIHS), helmets are about 37% effective in preventing death and 67% in preventing brain injuries from a motorcycle accident. Riding with protective gear can make a big difference in the event of an impact. Simply obeying traffic laws and riding sober will keep you out of grave danger throughout your riding career. Regardless of if you decide to wear a helmet or not, every rider should consider taking a motorcycle operator training and safety course to increase their skills. What many cyclists also don’t realize is that if you’re involved in a motorcycle accident, failure to wear a helmet could result in a lower payout from your insurance company. Most people are in agreement that wearing a helmet while riding a motorcycle is a good idea. However, the debate HB 748 has ignited is whether traffic stops to see if you meet the requirements constitutes harassment from law enforcement and government overreach. The rider gets stopped and must prove their age, their course completion, and their health insurance coverage. Should we mandate motorcycle helmets in Texas? If this new law is going to make it difficult for helmetless riders, then should the state just mandate helmets for all riders? The law would be simpler, and police would have a good reason to stop helmetless riders since there’s no doubt about the violation. Isaias Valencia is a professional blogger and full-time editor at Adley Law Firm in Houston, Texas. Adley Law Firm has been protecting victims of personal injury for over 22 years. You can reach the lawyers of Adley Law Firm by their Enjuris profile page. Want to become an Enjuris expert contributor? Learn how here.